I was going to shoot a bunch of close-ups, etc on my High Wall, but a You-Tuber has already done just that, and better...doing a very nice, yet short video of the exact same rifle I have. Enjoy! Very nice rifle. I've always liked the Browning guns. Seeing the good Captn's high wall, I am tempted to post my BPCR version in 40-65. It will have to wait until the rain stops though. Kirk, I have shot nothing BUT black powder in my Browning High Wall. As far as I can see, there is no residue or fouling in the breech of the action. I don't know if the barrel twist is any different than yours, might have to check that out. I think you should give black powder a shot! Mazo, supposedly the twist of the standard Highwall is better suited for lighter, jacketed bullet smokeless cartridges than BP cartridges using heavier cast lead bullets and BP. They came out with a special version, the BPCR Highwall with slower twist during that era (1995-2001), although you could certainly shoot a BPCR cartridge out of either. The BPCR Highwall is 1:18 twist. 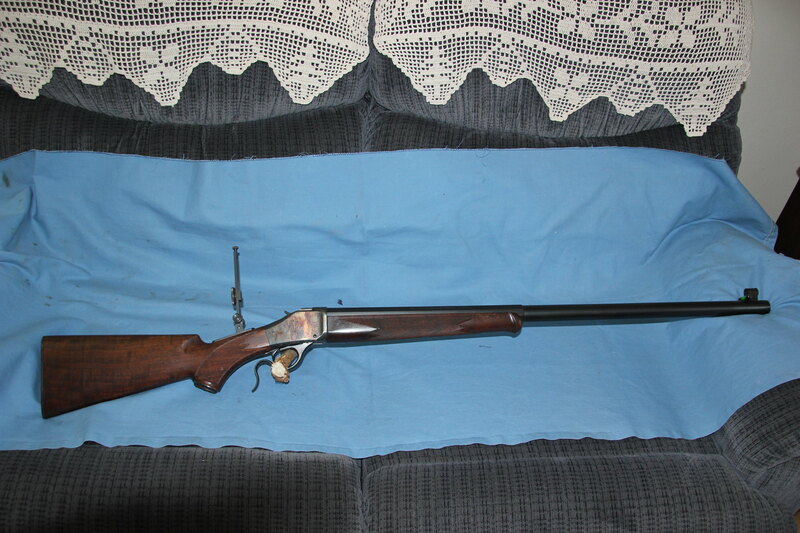 Of course, for loading and shooting BPCR, one must definitely own a Sharps...would you agree? Definitely! Although I thought that both the standard '85 and BP model had the 1-18" twist in 45-70. My 40-65 has a 1-16" twist and is marked "BP only", but as I understand, that is only because there is no SAAMI standard for 40-65 chamber? Still waiting for you to post some pix of that High Wall, Mazo. OK, OK. 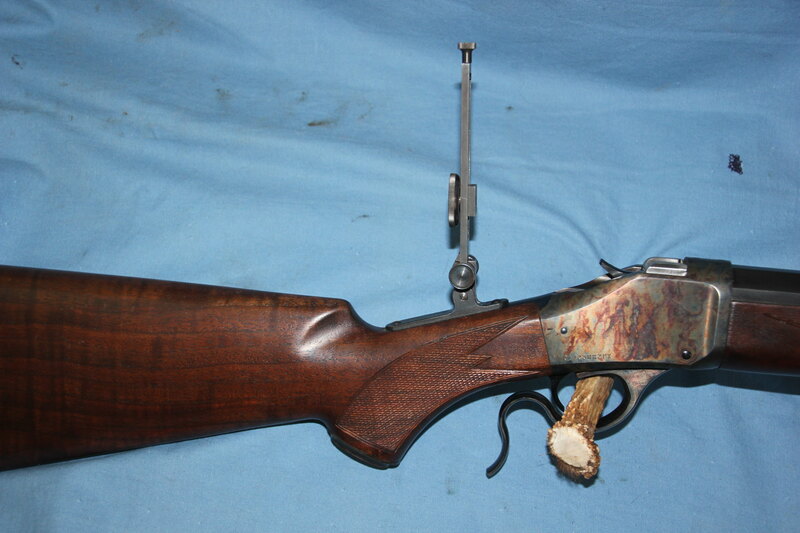 Here is my Browning 1885 BPCR model in 40-65 Winchester. Full length view. The barrel on my gun is Octagon to Round. A real sweetheart to shoot, hardly any recoil.